Miggs and Andy were married, 26th. 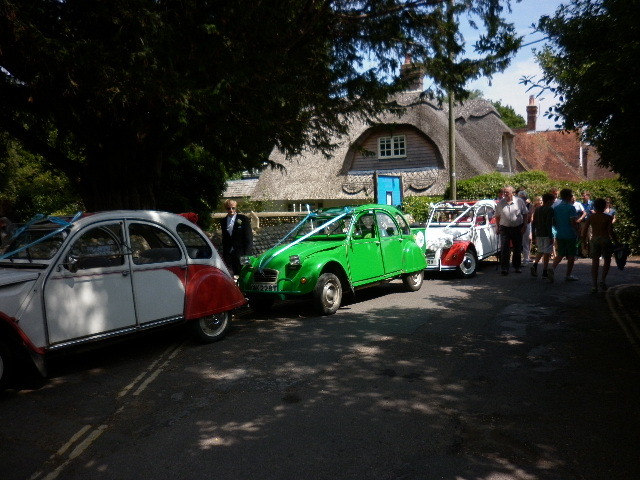 July 2014, at Bosham Church, West Sussex. 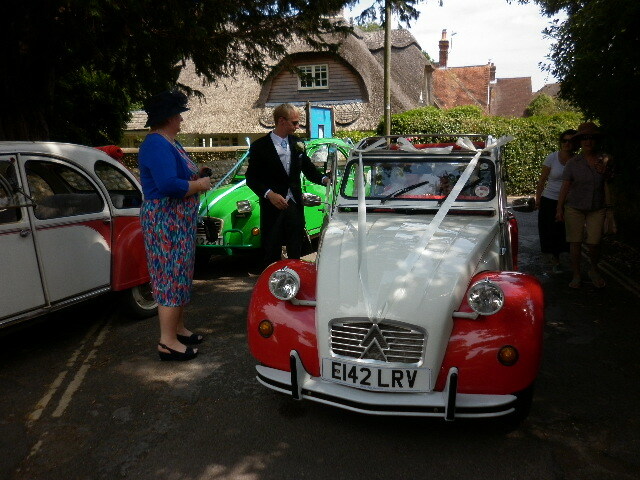 James drove his sister (the bride) and his brother to the church in his Red and White 2cv. 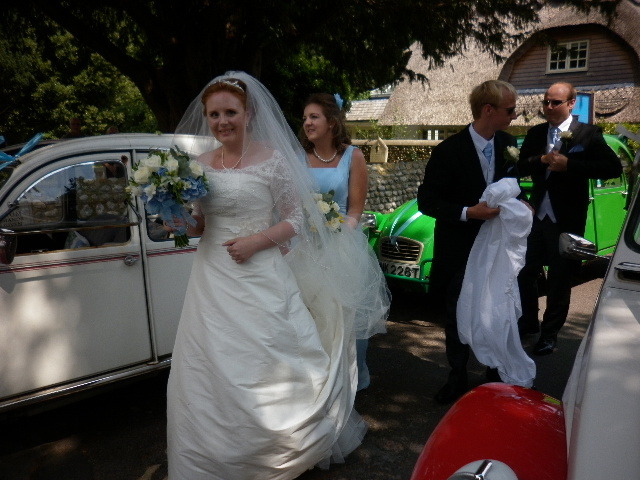 Elaine drove the bride's mother and one bridesmaid to the church in her Red and White 2cv. 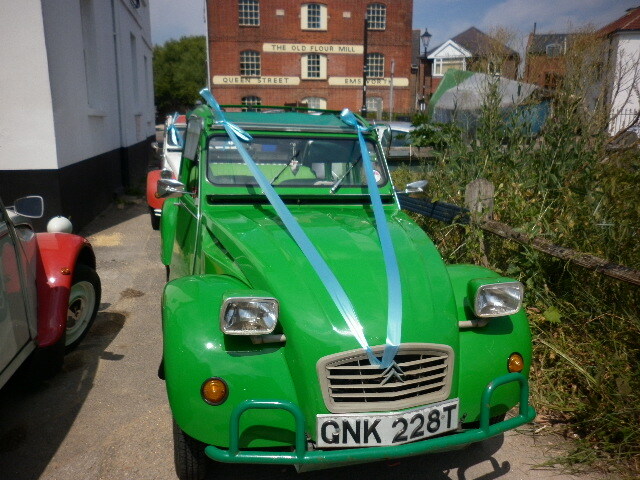 Wendy drove the other two bridesmaids to the church in her Kermit - guess what colour!